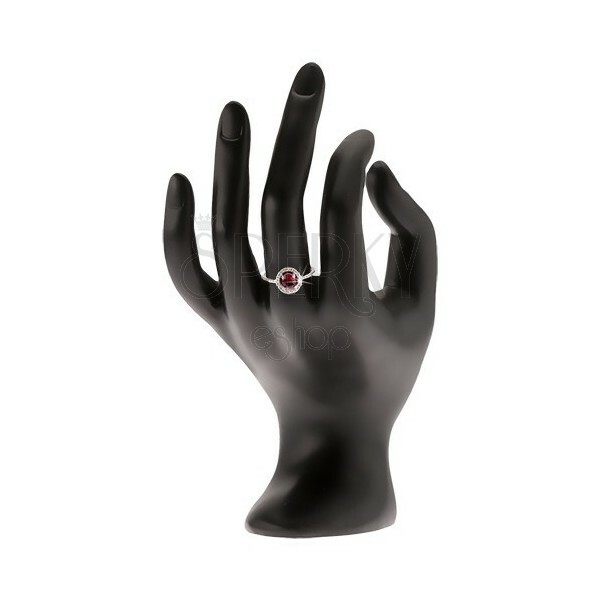 925 silver ring decorated with a big round zircon in pink-red colour and clear tiny zircons round red zircon, triangle outline decorated with clear stones. By buying this product you can collect up to 6 points as a voucher of $1.62. Your reward points. 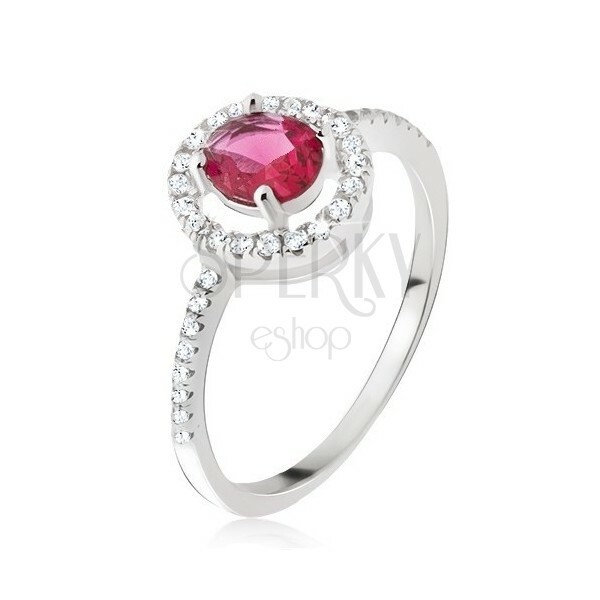 Silver 925 ring is made of a pink-red zircon ground into a round shape and embedded in the middle of the ring. 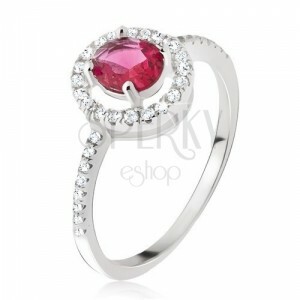 A big zircon is lined with a clear zircon line stretching along the shoulders. Price is for a piece.